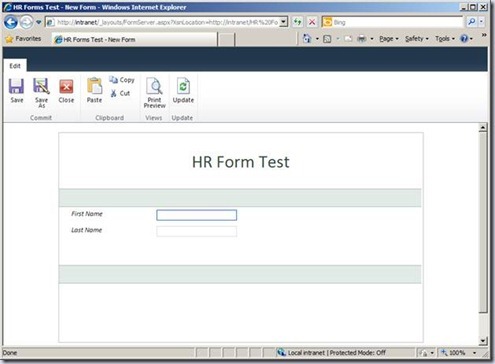 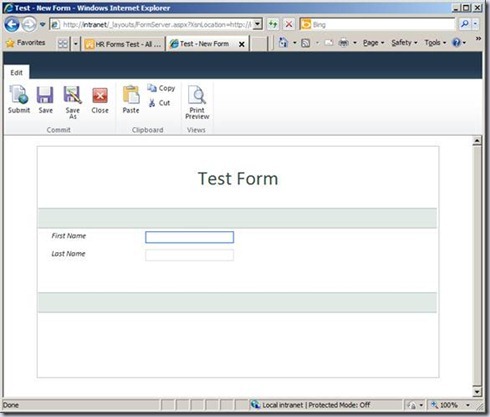 After creating my InfoPath form and setting it to publish to a Forms Library in SharePoint 2010, I found that I wanted to fine tune the experience that the user has when submitting a form. The first thing to change was the annoying dialog asking the user for a filename. Many users will have no idea what SharePoint is asking them for, or worse, they enter a name that’s already used by another form (and either overwriting it or getting an error). 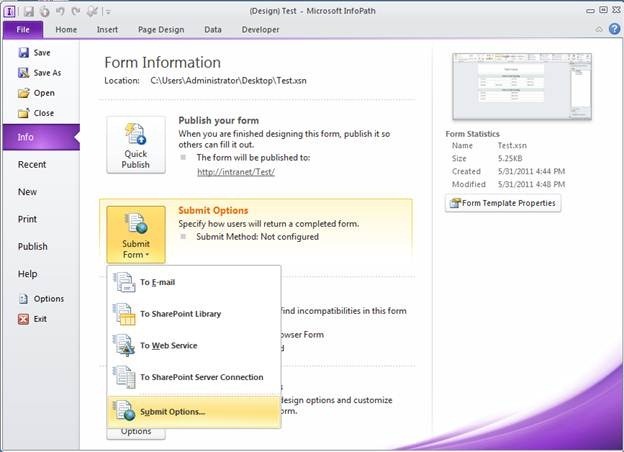 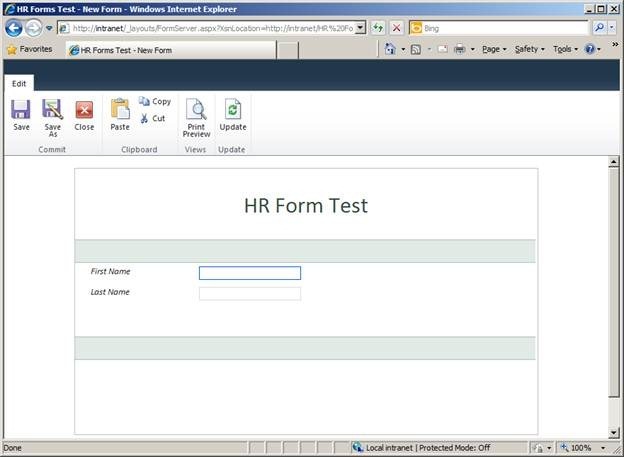 To see what I mean, simply create an InfoPath 2010 form and set it to publish to a SharePoint 2010 Form Library. 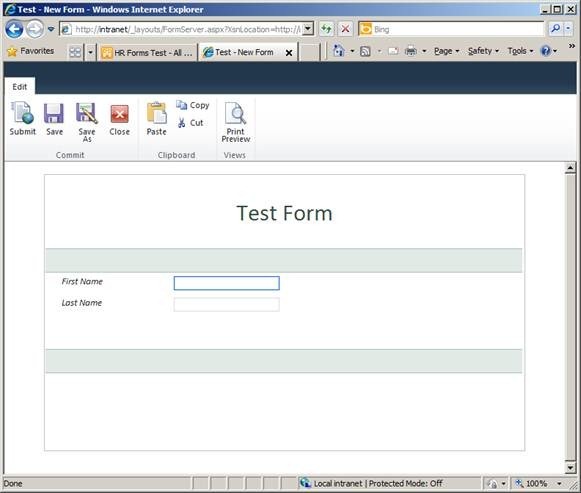 It doesn’t matter what fields and columns there are. Fill out your form and then click the “Close” button – which isn’t obvious for end users. 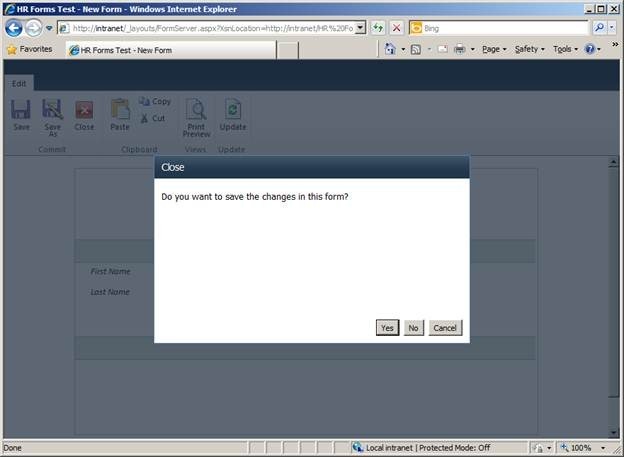 Although probably confused, end users will most likely pick “Yes” here. 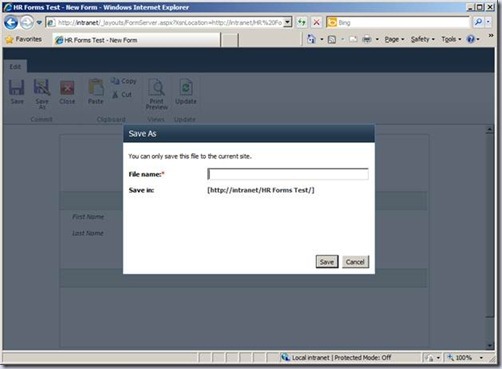 SharePoint is asking for the filename to save the form as in the Form Library. 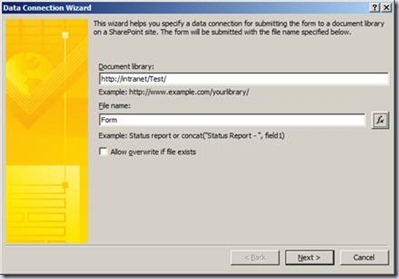 However, unlike a more standard save dialog, this one doesn’t let you see what the existing files are named, so the users are given very few clues as what is expected. Instead of asking our end users these questions, we can just setup a formula that will automatically determine the filename. 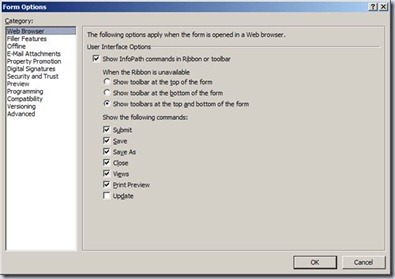 The Submit Options dialog window will appear. 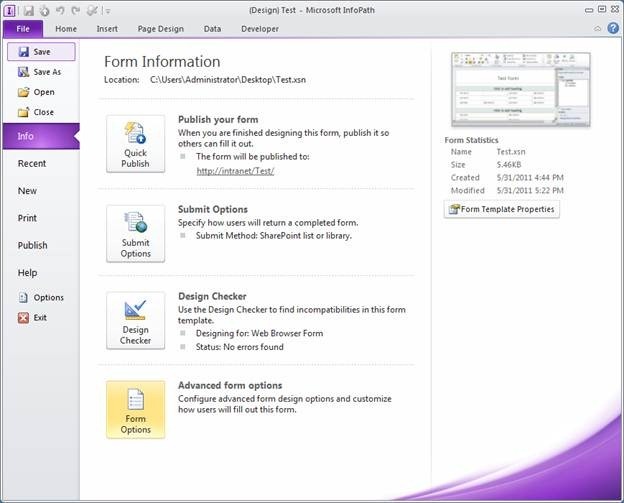 Notice the buttons in the ribbon – there’s now a “Submit” button, along with the default buttons. That’s better, but it’s not quite what I want. 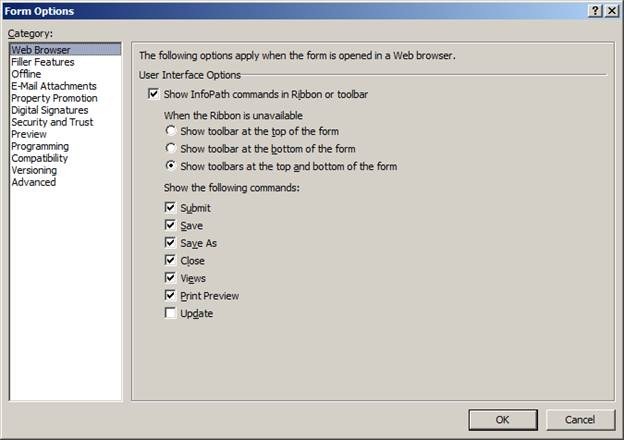 Here is where you can set which buttons to display in the ribbon. Make any changes you want, click, and then Publish the form. 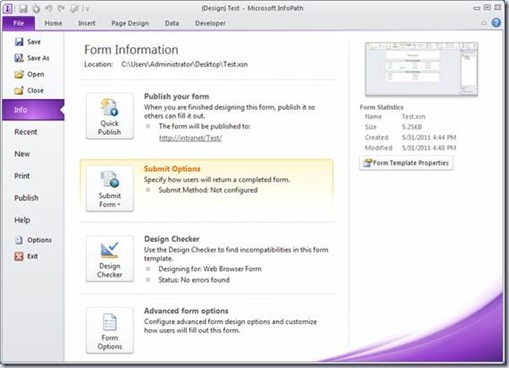 If you don’t want to use the ribbon at all, you can add a button to the form and set it to be the submit button.